A while back I blogged about the emergence of biosimilar insulin in the U.S., more than a decade after I studied the topic and discovered some troubling reasons none existed. Since then, in spite of top officials at the U.S. Department of Health and Human Services advocating for a more robust biosimilars market in the U.S., we have seen fewer rather than more, so that's not working out so well for the Trump Administration's promise to bring drug prices way down so far. In late 2018, Merck quietly pulled the plug on its own Lantus biosimilar which was to be branded as Lusduna Nexvue (see more HERE for details). Merck tried to keep its plan to dump its Lantus biosimilar on the down-low, but news emerged from a South Korean securities filing (akin to the U.S. SEC) when co-development partner Samsung Bioepis disclosed the fact that Merck was paying it a termination fee in its filings with Korean regulators. Anyway, I've been using the Humalog biosimilar branded as Admelog (U-100 insulin lispro rDNA origin) made by Sanofi for the past few weeks. I use vials and syringes since is the least costly way of buying insulin these days. 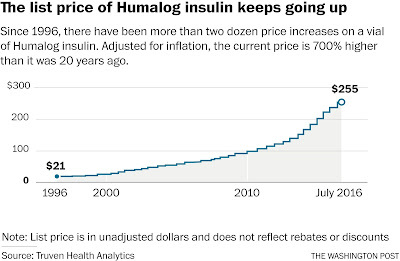 The reason is purely economic: while still paying towards my insurance deductible, I have the option of paying more than $230 for a single vial of Humalog insulin, or I can pay just $99 for the same insulin with a coupon from Sanofi. 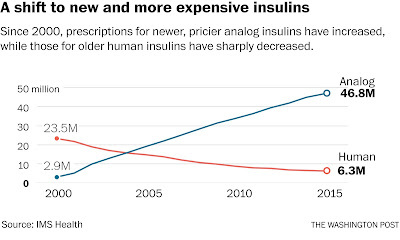 Insulin pens cost even more than vials do, and you get less insulin in five pens than you do in a single vial of the same insulin (plus syringes are cheap). Several years ago, Maria J. Redondo, MD, PhD, MPH, and assistant professor of pediatrics at Baylor College of Medicine in Houston said "Pens are more expensive than vial and syringe, and different insurance companies cover different pens depending on the formulary." 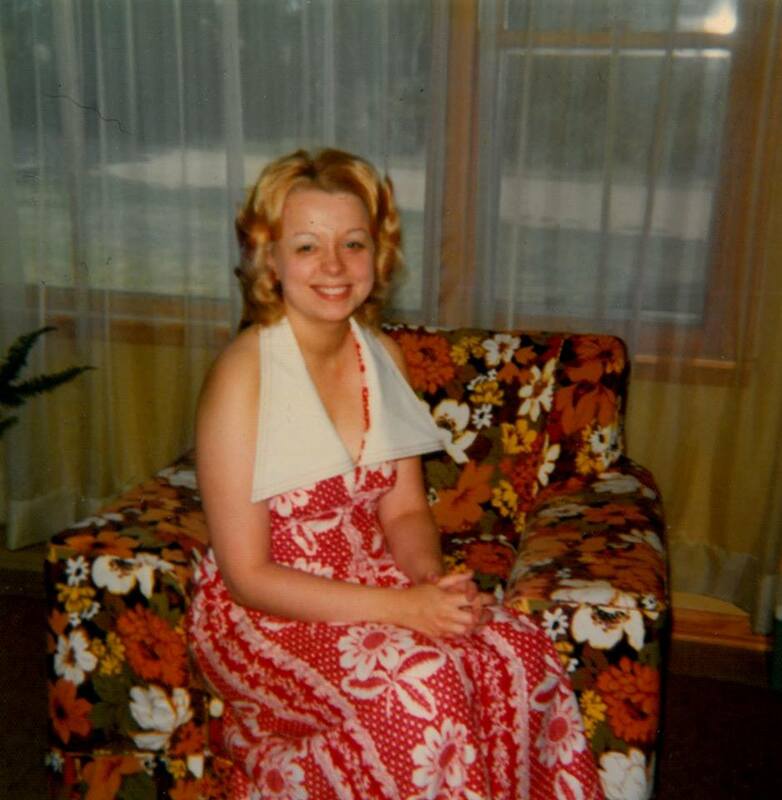 But I had almost no reservations about switching from Lilly to a Sanofi-made insulin. 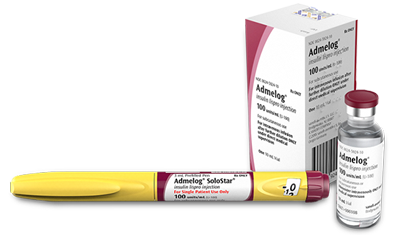 Based upon my personal experience, I believe Admelog really IS the same insulin as Humalog, although it does have some hang-time. When I say that, I mean that I didn't have to make any dosage adjustments (insulin-to-carb ratios or for correction dosages) using Admelog vs. Humalog, so I would call that the same. By comparison, I always had major adjustments that needed to happen switching to/from Novo Nordisk's Novolog (U-100 insulin aspart rDNA origin), or when switching to/from Sanofi's own Apidra (U-100 insulin glulisine rDNA origin). Every ratio had to be adjusted for each brand switch. Of course, when insurance makes these changes, they do not give patients any additional test strips needed for the adjustment -- they're on their own, because the formulary manager decided that Humalog, Novolog and Apidra are all "therapeutically equivalent" medicines. Such non-medical switching has become increasingly common over time. For the most part, my experience has been switching between Humalog and Novolog (less so with Apidra, although back in the early 2000's, I did use that, too -- although I think it may have been when insurance actually provided a choice of rapid-acting insulin analogues, each priced at different tiers of the insurance company drug formulary; also now history). Personally, I don't entirely understand why the Sanofi discount coupon for its insulin varieties is even necessary, except the normal CVS retail price for Sanofi Admelog is an absolutely stunning $481/vial! 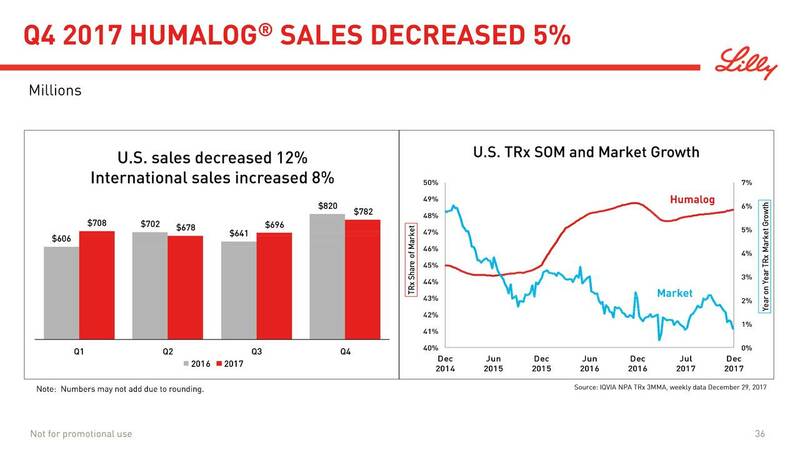 Indeed, for a biosimilar, the marked down price reportedly being offered to pharmacists is pretty tiny (roughly 15%-20%) when compared to the brand name. 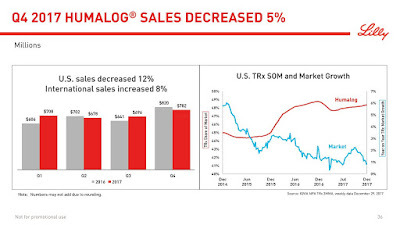 Most other generic drugs see discounts magnitudes higher, in the range of 25% to 60% off the brand-name drug's price. In fact, Lilly's own "authorized" generic which will be called Lilly Insulin Lispro (U-100 insulin lispro rDNA origin) will reportedly be LESS expensive than Sanofi's copy of the same insulin, priced at $137.35/vial (see the Lilly press release about its "authorized generic" of Humalog at https://prn.to/2Ug7AHS for more information). Lilly's move on insulin prices mirrors what was done a few years ago when the entire EpiPen issue exploded due to runaway prices. Mylan effectively calmed its EpiPen PR crisis by introducing a cheaper authorized generic. Now Lilly, following the very same playook, and is hoping for a similar result. The mere fact that Lilly was able to introduce a "half-price" version with virtually no impact to the company's bottom line says a LOT about the the shenanigans going on behind the scenes. According to CVS, the authorized generic version of Lilly Insulin Lispro is still not available in stores, but a call to Lilly's patient assistance telephone line did reveal that the company expects it to be available at pharmacies nationwide "sometime in the second quarter of 2019", meaning between April and June 2019. All of this is utterly insane because a submission to the Journal of the American Medical Association (JAMA) not long ago reportedly estimated the actual cost to manufacture a single vial of any insulin variety to be around $6 to $8 dollars per vial! Compared to many other biotechnology medicines, insulin is pretty simple. Insulin already chemically very well-characterized (most biotech drugs cannot be characterized; insulin can) and it is a non-glycosolated biotech drug (I won't attempt to explain it, just see HERE for more if you're interested); so in many ways, it should be a hell of a lot cheaper than more complex biotech medicines which are not well-characterized and have very complex protein structures. To make most other biotech medicines means maintainence of very tight control over their manufacturing process is somewhat more important than it is with insulin because things can easily go wrong. The reason insulin is not cheaper is mainly because of secret discounts given to formulary managers at insurance companies, many of which are passed on directly to employers who buy the insurance plans, and the Rx rebate money is used as an offset for high healthcare insurance premiums. If the employer isn't as good of a negotiator, then the insurance company-owned pharmacy benefits manager (PBM) simply keeps the rebate money for itself. And, big employers no longer have such a huge advantage over small employers as was once the case. That's because in recent years, small employers have largely banded together by using so-called Professional Employer Organizations (PEO's) to handle insurance and dental benefits, payroll, unemployment claims, etc. That means that today, the largest U.S. PEO is ADP TotalSource, which as of 2018 reportedly "co-employs more than half a million worksite employees" (see the press release https://mwne.ws/2P7BpbX for details). That makes them bigger than both Kroger and Home Depot, dwarfed only by Walmart and marginally by Amazon (if you're interested, see the Wikipedia listing for "List of largest United States-based employers" at https://bit.ly/2KnQTtr for more detail). The thing is that Sanofi is NOT making it easy for any patient to use their follow-on or biosimilar insulin lispro product, which is a mystery to me. For one thing, the clerk at CVS asked me what my insurance was, and I told her I would not be using insurance to pay for this insulin because I had a choice of paying either $238/vial if its submitted to insurance, or $99/vial if I pay without insurance. One need not be a mathematician to understand that the amount of cash I'll be paying is still nearly 2/3 cheaper ($99/vial vs. $238/vial), even if it doesn't contribute a penny towards my deductible. But it requires Sanofi's coupon to get that price. Can Medicare Patients Get Admelog at a Discounted Price? There is also a very strange thing going on with Medicare, with companies trying to charge Medicare patients full price and making their coupons un-available to Medicare patients. On Sanofi's cheekily-named "val-YOU" website where they give insulin coupons to patients (see https://www.admelog.com/savings for the details), the company has a five question "screener" survey to ensure patient "eligibility" for the insulin discount coupon, including asking if "do you currently receive Medicaid?" and "are you currently serving in the U.S. military?" and "do you qualify for Medicare?" ... if someone answers "YES" to any of these three questions (Questions 3, 4 or 5), then Sanofi responds by telling the individual they cannot give you a $99 discount coupon for its insulin. But if the patient answers those three questions "NO", then voila, they get the discount coupon. Guess what? That's basically bull$#!t. There is no prohibition that any patient must submit any claim for prescription medications to insurance (or in their case, to Medicaid, Medicare or the VA). Indeed, we have seen examples where many patients discovered the lower-cost generics list offered by different pharmacy retailers are actually much cheaper than what they might otherwise be charged if the script was processed through Medicare Part D.
The Sanofi offer terms say: "This offer is not valid for prescriptions covered by or submitted for reimbursement under Medicaid, Medicare, VA, DOD, TRICARE, or similar federal or state programs, including any state pharmaceutical assistance programs." But if one does not submit the claim through any of those programs, then they are essentially paying for the insulin out-of-pocket and they are theoretically eligible for the discount offer. There is no law requiring anyone to submit a prescription drug claim to insurance or through Medicare or Medicaid. What Sanofi conveniently omits is that they actually all WANT all Medicare/Medicaid patients to pay through those particular insurance programs because under a sweetheart deal for pharma, Medicare is not able to negotiate any volume-based discounts for prescriptions. But it frequently ends up costing the patients dearly. Its similar to the pharmacist "gag-orders" which Congress only recently banned (see the Kaiser Health News article at https://khn.org/ODc5NTIz for more background on that). Let me say this: there is no law preventing ANYONE (covered by insurance, Medicare or any other plan) from paying for prescriptions out-of-pocket. That's a personal decision. Usually, its to the patient's benefit to go through insurance or Medicare/Medicaid, but not ALWAYS, and exactly when can be a decision with genuine financial impact. I'm certainly not advocating fraud, but any patient is always free to pay for any prescription out-of-pocket, which also means that any manufacturer discount coupons offered for cash payers can be given to anyone who pays for a prescription out-of-pocket. I don't see that as remotely un-ethical. What IS unethical is the kind of games that go on with pharmaceutical companies operating in the U.S.
Something else many seniors with Type 1 diabetes discover: if you are a senior on Medicare and use an insulin pump, Medicare will pay for the insulin to effectively "power" your insulin pump as part of Medicare Part B, not Part D. They may make those patients jump through some hoops to get an insulin pump covered (once upon a time, Medicare would only cover patients with Type 1 diabetes, not Type 2 patients who use insulin due to the cost; I don't know if that is still the policy, but I mention it as one of the questions that need to be asked). I'm not even eligible for Medicare for at least another 15 years, and who knows what that might look like at that time. But the issue of how American patients with diabetes are forced to navigate a thicket of odd rules and secret, back-room discounts paid to various parties in the distribution system for prescription drugs is not about healthcare, its about someone making money. Dr. Elisabeth Rosenthal, M.D. wrote in a coherent opinion piece published in the New York Times (a company she once worked for), "Why Should Americans Be Grateful for $137 Insulin? 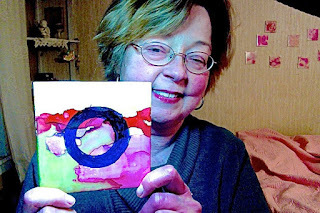 Germans Get It for $55" (she also adds that Germans get it for $45 if they buy five vials at a time, see the full piece at https://nyti.ms/2Ts28QK for details) suggests that while Americans are relieved at anything that lowers prices, we are still overpaying relative to the rest of the world. As noted, brand-name Lilly Humalog (U-100 insulin lispro rDNA origin) sells for $55/vial in Germany. And in France. And in Sweden. And in Denmark. And across the rest of the world. When seniors need to fill prescriptions, they are told they are suddenly in-eligible for discount programs offered to everyone else, but again, its not entirely factual. Its the story the pharmaceutical industry WANTS them to believe. Much more needs to be done to rein-in runaway prescription drug prices in the U.S. and there does seem to be bipartisan desire to address the matter (although it is worth acknowledging that Reps. Jim Jordan, Mark Meadows and several other Republicans who are part of the House Freedom Caucus who happen to be on the House Oversight Committee sent letters to a dozen CEO's of major drug companies warning them that information they might provide to the House investigation into drug pricing could be leaked to the public by Democratic chair Rep. Elijah Cummings in an effort to tank their stock prices. Their letter can be viewed at https://republicans-oversight.house.gov/wp-content/uploads/2019/04/Pharma-Letters.pdf although several media outlets have since addressed that highly unusual and counterproductive move, including BuzzFeed news which broke the story and the snarky Wonkette offered its own spin on what they believe is going on. Suffice to say, this is a highly-unusual move for a minority party in Congress to try and doom any efforts the majority party is pursuing on behalf of the American people, but this is how Republicans now operate. For 2018 World Diabetes Day (which is on November 14 of each year, the date of discoverer Frederick Banting's birth), I avoided much "celebration" or even acknowledgement. Its not that I don't care -- indeed, I can remember my involvement of working to get Congressional recognition of the day and helping to persuade the then-UN representative with written letters to that the United States' citizens actually supported the day's (and month's) creation way back in the early 1990's. Prior to that, diabetes wasn't even acknowledged outside of the medical profession. 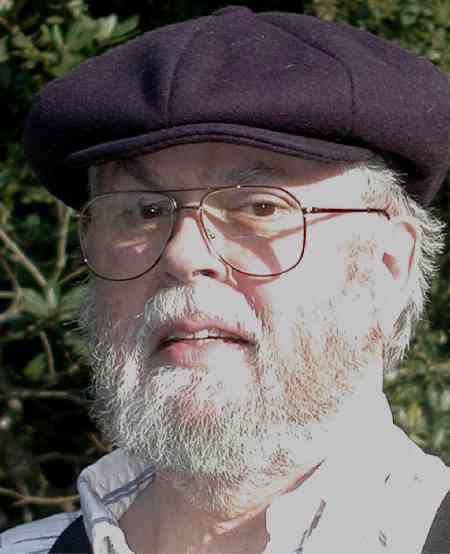 That said, in many ways, I hate these honorary "days" or "months" because they really marginalize all of the other days and months that we must go on without so much as an acknowledgement, and frankly, there are some huge problems with diabetes treatment in the United States, perhaps more so than elsewhere in the world. 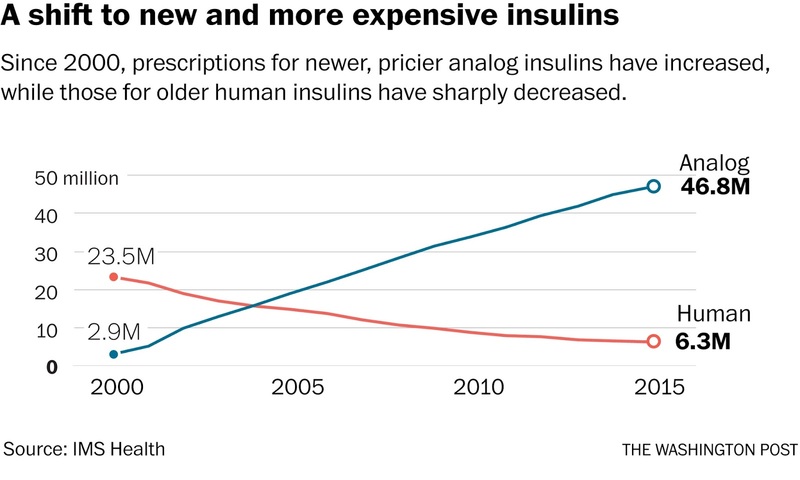 One of the most disgusting developments in recent years has been the runaway prices for insulin, which if I'm being frank, are simply greed-driven price hikes for decades-old drugs whose development costs were recuperated years ago. Years ago, I addressed biosimilars and the bogus reasons they hadn't emerged (see my coverage at http://blog.sstrumello.com/2007/01/business-of-diabetes-real-story-behind.html) but today, the distribution and payment hierarchy have added vastly to the prices people with diabetes pay for insulin. Without getting too wonky, the main issue that gets insufficient attention is the runaway prices for all of what's needed to treat this chronic disease that have skyrocketed and have shown no signs of deflation. 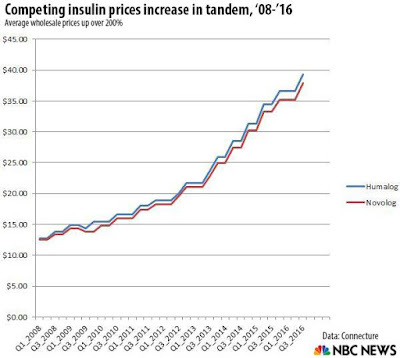 In particular, insulin prices have increased about 1200% (that's one thousand two hundred per cent) over the past decade. The pharmaceutical industry has convinced itself that list prices for drugs are irrelevant, which is a falsehood. Artificially-high list prices for insulin, combined with nearly as high rebates paid to third-party drug wholesalers, Pharmacy Benefits Managers (PBM's), healthcare insurance companies and retail drugstores all add to the not-at-all transparent pricing structure that masquerades a hugely inefficient pharmaceutical distribution system where every party benefits from higher prices EXCEPT patients. Needless to say, because of that, the drug industry and and related parties including the healthcare insurance industry have worked tirelessly to preserve the expensive status quo. Congressional caucuses are largely irrelevant, officially they are a group of members of the U.S. Congress from both the Democratic and Republican parties that meet to pursue common legislative objectives. 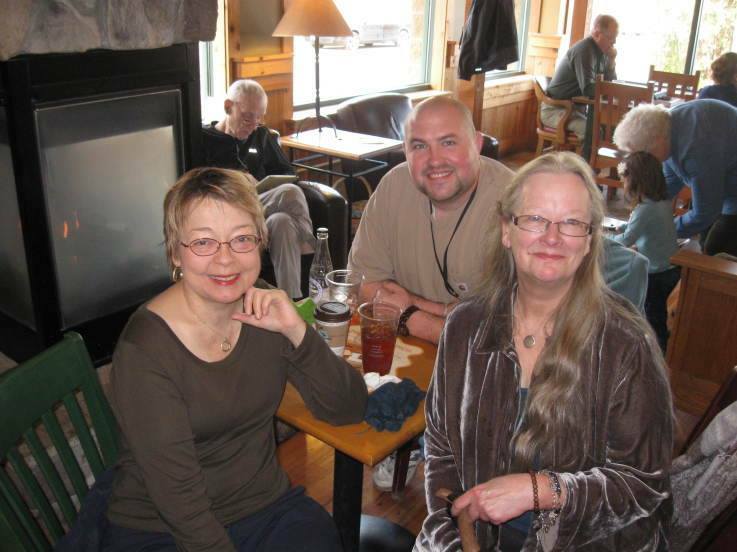 Formally, caucuses are formed as Congressional Member Organizations (CMO's) through the U.S. House of Representatives and governed under the rules of that particular chamber. Typically, its just another title lawmakers give themselves because they seldom accomplish much and frequently, the caucus members own voting records work against the very objectives they claim to support. That said, occasionally, they do something, and their research has potential to yield meaningful results if the caucus acts on their findings. Quite recently, the Congressional Diabetes Caucus actually released a relevant report about insulin pricing which meets the definition of "runaway" price increases. In June 2017, Representatives Diana DeGette (D-CO) and Congressman Tom Reed (R-NY) who are the co-chairs of the caucus, sent letters requesting meetings from 3 key stakeholders: the Pharmaceutical Research and Manufacturers of America (PhRMA), the Pharmaceutical Care Management Association and America's Health Insurance Plans. These are the major trade groups for the pharmaceutical industry, the pharmacy benefit managers and the health insurance industry, respectively. After meeting with officials from these three organizations, the members released key findings summarizing what was discussed in these meetings and a separate, additional meeting with the American Diabetes Association. The caucus reports that average insulin prices have doubled since 2012, and many patients are also facing high prices due to high deductibles (prevalence of deductible insurance plans have increased steadily and now represent more than half of all plans), coinsurance and formulary exclusions. More details on the caucus' research can be found on chairwoman DeGette's web page at https://diabetescaucus-degette.house.gov/insulin-pricing/ with the actual report found at https://diabetescaucus-degette.house.gov/sites/diabetescaucus.house.gov/files/Congressional%20Diabetes%20Caucus%20Insulin%20Inquiry%20Whitepaper%20FINAL%20VERSION.pdf. 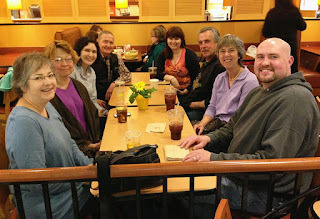 DiabetesMine first addressed my idea at https://www.healthline.com/diabetesmine/insulin-pricing-meeting-2016 and its worth re-visiting. The Diabetes Patient Advocacy Coalition (DPAC) has coverage of the report at http://diabetespac.org/report-on-insulin/ while T1D Exchange (the folks who run Glu https://myglu.org/) have also chimed in on the topic https://myglu.org/articles/how-all-payer-healthcare-might-bring-down-the-price-of-insulin although they have addressed thoughts on pricing more generally not the diabetes caucus reporting, and of course, so have the ADA and JDRF among the big diabetes nonprofit organizations that take credit, in reality, its the complaints and voices of people with diabetes that brought the latter two organizations to even acknowledge the problem. Revealed in that report were an acknowledgement of the physical path that moves the insulin from manufacturers to pharmacies (and, in-turn, patients), and the subsequent flow of insulin payments. 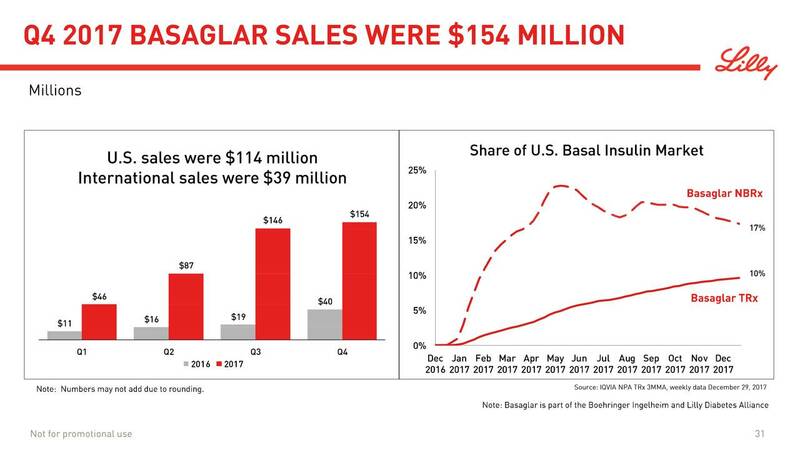 Because so many parties are involved in both, efforts to address upward price pressures, the report suggests doing more to encourage more insulin biosimilars (so far, ALL biosimilars are coming from Big 3 insulin suppliers although the partnership of Mylan/Biocon have a Lantus biosimilar to be branded as Semglee pending FDA re-review as well as legal settlement with Sanofi), hence discounts have been modest at best -- reportedly only 15% off, compared to discounts of 75% to 80% for most small molecule drugs, to which big pharma responds that insulin is so much more complicated than small molecule drugs therefore the discounts are smaller, which is an outright falsehood). The report also recommends formulary changes that standardize the process for requesting exemptions or filing appeals from formulary changes, and that Congress could convene working groups composed of patients, providers, PBM's, and health insurers to develop a patient-centric appeals system. In addition, it recommends standardizing drug formulary disclosure of patient cost-sharing information, and potentially introducing legislation directing CMS to develop a series of standard formulary designs that provide cost-sharing information in an accessible manner, plus limiting the number of changes an insurer is permitted to make to a formulary each year, and finally capping out-of-pocket expenses for prescription drugs that are needed for chronic conditions. First, note that most of these recommendations impact Medicare (and to a lesser extent, Medicaid), so they will not have material impact on private healthcare insurance which impacts most people. The elephant in the room is something Congress COULD do it if they were so inclined, specifically to make sure that all insulin varieties are added to the CDC's and CMS/Medicare list to the national "Preventive Medication Coverage" list https://www.healthcare.gov/coverage/preventive-care-benefits/ which is a list of so-called preventive medicines and services without charging you a copayment or coinsurance, which is true even if you haven't met your yearly deductible. Virtually all private healthcare insurances cover these items already, except for short-term insurance plans which are considered junky insurance plans that Obamacare did away with anyway. It would be a fairly straightforward matter to get insulin added to this list, yet Congress never bothered to do so because they never saw insulin as preventative. In fact, several of the medicines on that list (such as statins) have never been proven to prevent cardiovascular events such as heart attacks or strokes, so they are no more "preventative" than insulin. Now, if the Big 3 insulin makers were truly so concerned, they would have lobbied long ago to get insulin added to this list, but guess what? They didn't bother. I think its very clear what needs to be done: to get all forms of insulin (not just the old ones like regular and NPH) added to the national "Preventive Medication Coverage" list, making it either lower-cost or even one of the $0 co-pays on the insurance plan and doing so would be a fairly straightforward matter to do, but it needs to be uniformly supported by but most parties, and so far, big pharma as fought it at every step of the way. One has to ask why they are fighting this, but their answers for fighting it are more as a matter of principle, rather than having a very good reason for doing so. The short-term solution, I propose, is to make sure that insulin is added to the national "Preventive Medication Coverage" list. That would likely impact everyone on Medicare (and Medicaid), as well as many private healthcare insurance plans quite quickly. Now, can we get everyone on the same page, please?! As I've already addressed, a few weeks ago (see my post at http://blog.sstrumello.com/2016/08/the-business-of-diabetes-cvs-caremarks_5.html for more), Novo Nordisk's CEO Lars Rebien Sorensen rather unceremoniously announced he was retiring early (see http://fortune.com/2016/09/01/novo-nordisk-ceo-retire-insulin/ for more) which was kind of an acknowledgement that the era of easy price increases for its products in the U.S. is over. Already, CVS Caremark and United Health announced that they are dropping Sanofi's Lantus in favor of biosimilar versions from Lilly/Boehringer or Merck/Samsung, and there's reason to presume that biosimilars will pressure Novo's products even more. This week, Novo also announced it was taking the very rare step of laying off approximately 1,000 employees, something the Danish company has almost never done, including about 500 people in its R&D department. "The next line of products have to have an even greater height of innovation, which means those that do not have that height of innovation will have to be culled," Soerensen said. "Otherwise, it's going to be difficult for us to get reimbursement for our drugs. Me-too or me-better drugs will not be good enough in the future and hence we need to prioritize." That kind of sounds like an acknowledgement (to me, anyway) that some of its newer products, most notably Tresiba (U-100 insulin degludec rDNA origin) is acknowledged even by the current leadership to be a "me-better" product, rather than anything really truly innovative. Indeed, Jeremy Greene, an associate professor at the Johns Hopkins University School of Medicine said "If any drug should be available generically, it should be insulin." adding the new insulins are "not so much better that it justifies the presence of people who can't afford any drug." In August, the $#!t hit the fan over EpiPen price increases. In effect, the price of the EpiPen, which treats emergency allergic reactions and things like bee stings, but is not really a drug that must be taken daily, had climbed sixfold over the last several years. At drug price-comparison website GoodRx, the cheapest price at the time was $614 for a package containing two, or more than $300 per EpiPen, up from about $100 for two EpiPens not too long ago. The story was an all-too-familiar one: a company buys an old drug that no one else makes anymore, raises prices and impedes patient access to life-saving treatment in the process. We saw a similar situation when "Pharma Bro" Martin Shkreli made news a few weeks earlier. As the then-CEO of Turing Pharmaceuticals, he acquired an old anti-parasite medication called Daraprim and immediately increased the price from roughly $13.50 to $750. He seemed to relish in giving his middle finger to people impacted by the decision. In the case of the EpiPen, the target of that tired narrative was a medical device with an unusual amount of brand name recognition, no real alternatives and a growing patient population — Mylan Inc.'s EpiPen. Epinephrine is a generic medicine, and is widely available but the delivery device (in this case, a pen) was unique and made it easy for people who aren't medical professionals to administer. People with diabetes kind of looked at all the news and thought to ourselves "So what? 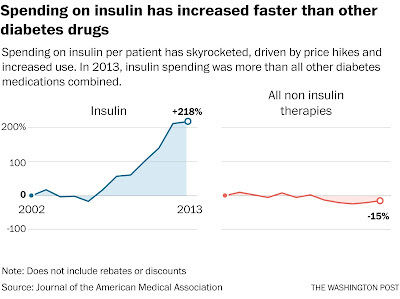 Welcome to the club, EpiPen folks ... have you seen the insane prices of insulin lately?" Of course, we didn't have much data to back it up, and since most people really have no clue what the real prices are for medicines we rely on, its a pretty tough claim to substantiate. 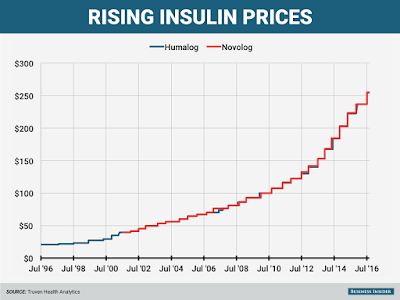 But earlier this year, Bloomberg had an interesting article entitled "Hot Drugs Show Sharp Price Hikes in Shadow Market" [http://www.bloomberg.com/news/articles/2015-05-06/diabetes-drugs-compete-with-prices-that-rise-in-lockstep] which interestingly enough, looked at insulin prices. On May 30, 2015, the price for a vial of the blockbuster diabetes medication Lantus (U-100 insulin glargine rDNA origin) went up by 16.1%. On the very next day, Lantus's only direct competitor, Levemir (U-100 insulin detemir rDNA origin), also registered a price increase -- of precisely 16.1%. The pattern repeated itself six months later when Lantus, from French drugmaker Sanofi, was marked up 11.9% percent, and Levemir, made by Novo Nordisk A/S, matched the price increase again exactly. Clearly, this is not how competitive, free markets are supposed to work. I should acknowledge that insulin was definitely not the only type of medicine to exhibit this type of price inflation. But it is indicative of a market that is definitely not a competitive one, not exactly a free market. Some of this comes directly from Bloomberg, but its worth sharing with the diabetes community. Is this price-matching a coincidence? I think not. Bloomberg's analysis revealed that in 13 instances since 2009, prices of Lantus and Levemir -- which dominate the global market for basal insulin with approximately $11 billion in combined sales -- had gone up in tandem in the U.S., according to SSR. 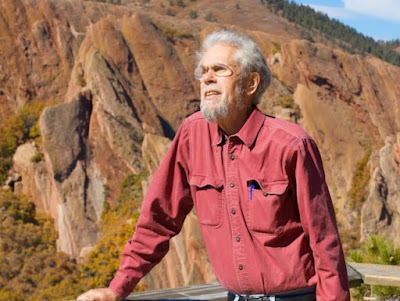 The article also discusses the shady world of "shadow pricing", and rebates given to big payers and how prices outside the United States, which arguably subsidizes the rest of the world with the prices paid. Ironically, the drug and biotech industry lobbied very hard to prevent one of the biggest payers in existence, Medicare, from negotiating drug prices under the Medicare drug benefit signed into law by President George W. Bush. Most other countries have price controls, or at least are able to negotiate based on how much they are buying. For example, in Germany, almost every German belongs to one of some 160 nonprofit "sickness funds," or nonprofit insurance collectives. The sickness funds cover both medical visits and prescription drugs. Drug prices there are already lower than in the U.S. because sickness funds negotiate with both physician groups and drug manufacturers to set costs of all treatments across the board. But in the U.S., Medicare isn't even allowed to negotiate lower drug prices. As for prices, Sanofi and Novo "are taking the same price increase down to the decimal point within a few days of each other," said Richard Evans, an analyst with SSR. "That is pretty much a clear signal that your competitor doesn't intend to price-compete with you." A pattern of insulin makers matching each others price increases “certainly indicates a market that isn’t competitively healthy,” said David Balto, an antitrust lawyer and former Federal Trade Commission policy director. However, if two companies act independently to follow each other’s price increases, it’s not an antitrust violation, he said. But Lilly, which once dominated the U.S. insulin market with an estimated market share of 85% for insulin sold in the U.S. back in 1985, basically ignored the diabetes business as it pursued neuroscience with drugs like Prozac and Zyprexa. Lilly had to partner with the German drug company Boehringer Ingelheim for most of its newer diabetes medicines, but since bringing in Enrique A. Conterno to run the diabetes business a few years ago, has suddenly started appearing on more drug formularies than it has in years. But Lilly's willingness to compete on price, at least with some big payers like United Healthcare and Kaiser Permanente, doesn't mean retail prices are likely to show any decreases. 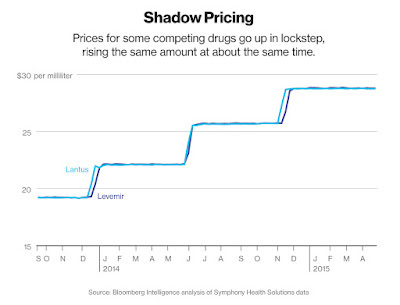 For their part, drug manufacturers like to keep prices as secret as possible. "How much a patient pays is based on a negotiation between the payer and the pharmacy," said Ken Inchausti, a Novo Nordisk spokesman. He said the company couldn't comment fully without knowing details of a patient's health plan. Have a look at this video (see below, or by visting http://bloom.bg/1IjpdgL for the link).